The New York Post called him "the ‘Irishman' from West Africa". Henry Swanzy of the BBC referred to him as the "African Paracelsus". And in 1949, a group of parliamentarians from Stormont, the Dáil and Westminster joined together to sign letters nominating Dr Raphael Ernest Grail Armattoe for the Nobel Peace Prize. Who was this man who appears to have made such a great impression on all who knew him? Dr REG Armattoe was a man of many talents - a medical doctor, anthropologist, writer of prose and poetry, and towards the end of his life, a budding politician. Born and raised in Africa, Armattoe spent over a decade working in Northern Ireland. Raphael Armattoe was born in August 1913 to a prominent family of the Ewe tribe in Togoland. After the First World War, the former German colony was divided into two mandates, one under French rule and the other British. Thus young Armattoe grew up speaking three European languages as well as his native Ewe, and was later to write and publish works in French, German and English. After receiving basic education at mission schools, in 1930 Armattoe left home to study in Germany. It is thought that the rise of the Nazis in Germany prompted the move to further studies in France While studying in Europe, Armattoe met a striking willowy and intelligent woman from Switzerland, Leonie (later known as ‘Marina') Schwartz, whom he married. Having studied anthropology, literature and medicine in mainland Europe, Raphael Armattoe moved with his wife to Edinburgh, where he qualified to practice medicine in the British Isles. His subsequent residence in Northern Ireland may have been largely a matter of chance; the doctor got a job as a locum in Belfast and then was appointed to the Civil Defence First Aid Post in Brooke Park, Derry where he worked from 1939-45. After the war, Dr Armattoe had a medical practice at his home at 7 Northland Road; and devoted increased time to writing and public speaking on a variety of topics, mostly concerned with anthropology. The doctor often issued copies of speeches and magazine articles under the imprint of the Lomeshie Research Centre named after his mother. Most of the people in Derry today who remember Armattoe have only vague recollections from childhood. Local writer Helen Morrison says, "Everyone would have known him. There were no black people in Derry at the time - yes, there were some servicemen and seamen during the war, but Armattoe was here even earlier. They said he was a marvellous doctor. He died young, you know. We were all very sad when we heard about it." Elsa McMillan Spence was in her twenties when she met Dr Armattoe at a St. John's Ambulance Brigade lecture series. She recalls that "Of all the speakers, he was the best. He was a marvellous talker and could keep you spellbound with his knowledge of many subjects." Dr Armattoe engaged Ms McMillan to revise his publications for publication, and she was referred to in the Londonderry Sentinel as "The Hon. Secretary to the Sociological Section of the Research Centre." 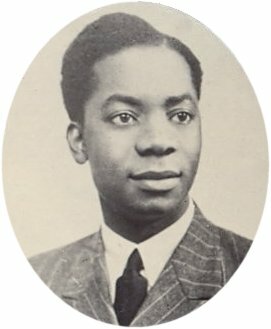 Armattoe became more well-known in 1946 when he published his book on The Golden Age of West African Civilization and also made newspaper headlines when he claimed that the Russians had developed an atomic bomb the size of a tennis ball. Dr Armattoe never divulged the source of his information, but his statement was put to the U.S. President Truman at a press conference. The president denied any knowledge of the alleged Russian weapon. The publicity resulted in further speaking engagements for Dr Armattoe, not only in Derry and in Dublin, where he spoke at the Mansion House about "The Advance of Science in the Soviet Union", but in Sweden and the U.S. In 1947, Dr Armattoe attended the Nobel Prize laureation ceremonies with his friend Erwin Schrödinger, winner of the 1933 Nobel Prize for Physics. Schrödinger worked in Dublin at the Institute for Advanced Studies and wrote the foreword to The Golden Age of West African Civilization. Perhaps the visit to the Nobel ceremonies whetted Dr Armattoe's appetite for full-time research, for he soon successfully applied to the Vikingfund (Wenner Gren Foundation) for an anthropology research grant. The $3,000 grant allowed Dr Armattoe to return to West Africa, to the land he had left some 18 years previously. After about half a year of field research, the doctor returned to Derry to write up his reports. Most of the papers published as a result of this research trip were studies of Ewe physical anthropology, especially charting the distribution of blood groups, a field of study that was just emerging into the limelight at the time. Although Dr Armattoe wrote of studying the ancient herbal medicines of County Donegal, and collected many African plants to study for medicinal applications, we have not been able to trace any scientific reports of these endeavours. The period between Armattoe's first return to Africa and the end of his family's residence in Derry was particularly memorable, as in 1949, Doctor Armattoe was a panellist at a major conference in New York and was also nominated for the Nobel Peace Prize. The Cultural and Scientific Conference for World Peace received massive publicity due to the attendance of delegates from the Soviet Union and the resultant anti-Communist picketing. Dr Armattoe's photograph appeared in the New York Post and the New York Times alongside some of the notorious Russians, including composer Dmitri Shostakovitch. 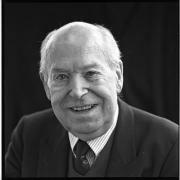 The parliamentarians (mostly Nationalist and Labour) who nominated Dr Armattoe for the Nobel Prize did not seem to think it necessary to give much background information in their letters of nomination, writing little more than "in numerous publications he has advocated peaceable understanding between all Nations and races and is a noted supporter of settlement of differences between Nations by peaceable means. "1 That was not enough to get Armattoe's name on to the shortlist. The 1949 prize went to John Boyd Orr, Director of the U.N. Food and Agriculture Organisation. By the end of 1950. the Armattoe family had left Derry for Kumasi. There Raphael Armattoe set up a medical clinic, but also embarked on new adventures in poetry and politics. His two books of poetry, Between the Forest and the Sea and Deep Down in the Black Man's Mind, are of continuing interest to students of African literature. Varying in both style and quality, the poems are evidence of Armattoe's broad readership and familiarity with the genre. Ireland, Germany and Switzerland all receive attention, but the poetry mostly features Africa and Africans. The poems about his family and about African history are full of love and pride, but many of the poems express the author's despair with the emergent leaders of the Gold Coast Colony. Nkrumah and Armattoe had met at the groundbreaking 1945 Pan-African Congress in Manchester, England. Both were strongly in favour of independence for African colonies, but Nkrumah's vision was more centrist and Armattoe's more federalist. Armattoe was quick to join the Ghana Congress Party formed in 1952 amid allegations of corruption in Nkrumah's Convention People's Party. He also became active in the Joint Togoland Congress, calling for the re-unification of the Togoland mandates as opposed to uniting British Togoland with the Gold Coast Colony. Dr Armattoe travelled to New York in 1953 to address a United Nations committee on the "Eweland Question". On his way back to Gold Coast, he visited Ireland (his eldest daughter Irusia was by then enrolled in a Dublin boarding school) and Germany. Taken sick en route, Armattoe was treated in hospital in Hamburg, where he died on 21 December, aged only 40 years old. Mme Armattoe was anxiously awaiting her husband's return for Christmas. After she received the news, she told friends that her husband had said he'd been poisoned, but she did not know by whom. It was well known that Armattoe had enemies in the Nkrumah camp, but; we shall never know whether the doctor died of natural or unnatural causes.